Thank you for visiting the Revolution Contractors website. Your privacy is important to us. To better protect your privacy, we provide this notice explaining our online information practices and the choices you can make about the way your information is collected and used on this website. We may use the information you provide about yourself to respond to your inquiries. We may use the non-personally identifiable information that we collect to improve the design and content of our site and to enable us to enhance your Internet experience. We also may use this information in the aggregate to analyze site usage. Although we take appropriate measures to safeguard against unauthorized disclosures of information, we cannot assure you that personally identifiable information that we collect will never be disclosed in a manner that is inconsistent with this Privacy Notice. Inadvertent disclosures may result, for example, when third parties misrepresent their identities in asking the site for access to personally identifiable information about themselves for purposes of correcting possible factual errors in the data. 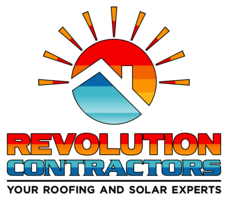 Revolution Contractors may on occasion combine information we receive online with outside records to enhance our ability to market to you those products that may be of interest to you. If you prefer not to receive online marketing information from this website, please contact us via the email or phone number provided below.Finally, Revolution Contractors will not use or transfer personally identifiable information provided to us in ways unrelated to the ones described above without also providing you with an opportunity to opt out of these unrelated uses.